For the most part, Ron built this box art drag racer with parts from the box. The body modifications are limited to removal of the side trim and using the kit's custom grille. 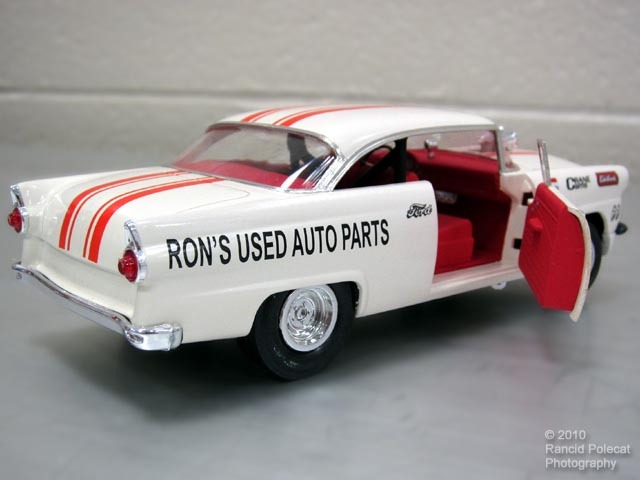 Ron remembers people really ran their cars that way; mild custom touches and geared for action.